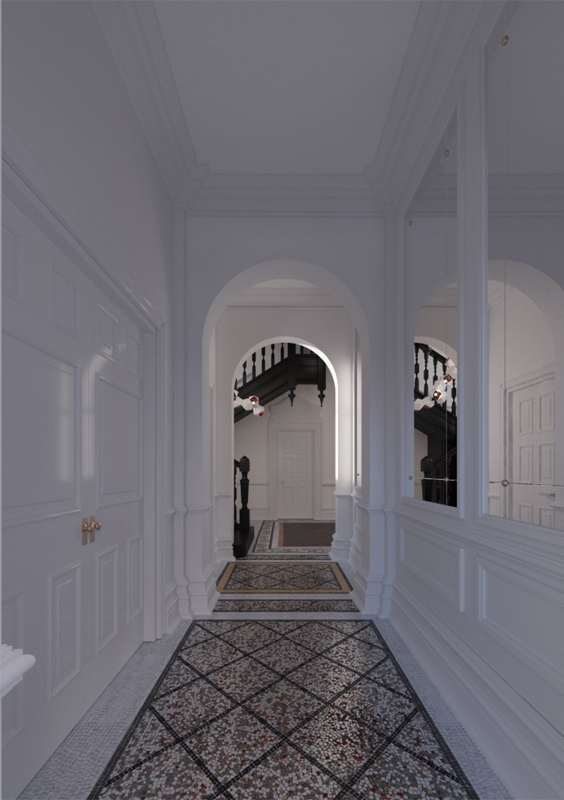 With careful consideration for the history of the Grade 2 listed building, FLINT have designed the interior of this house with the concept of minimal glamour. 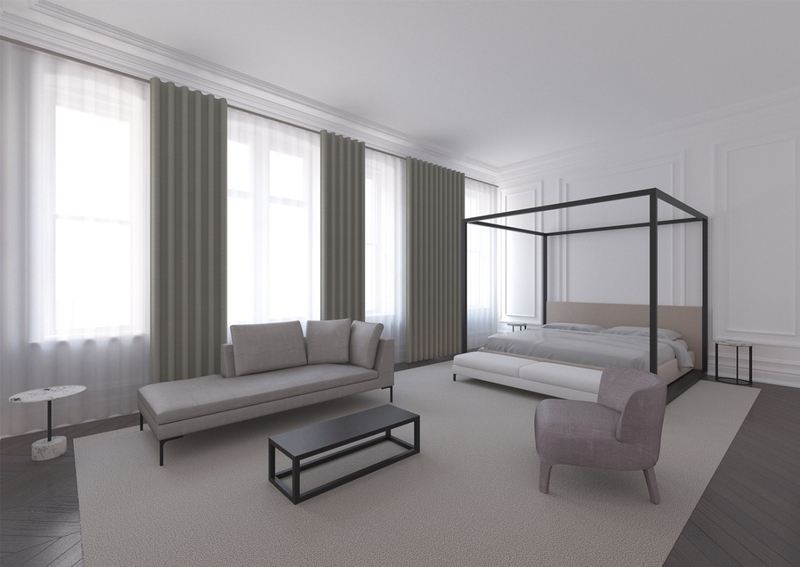 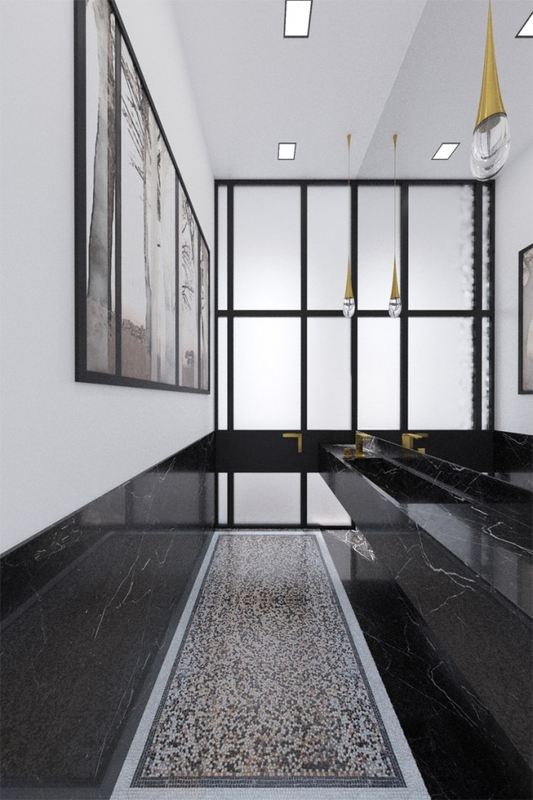 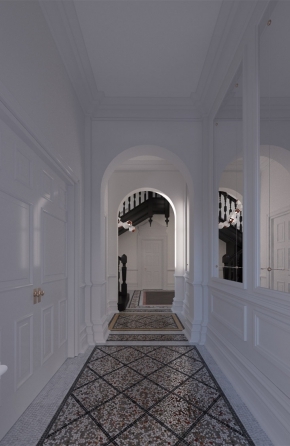 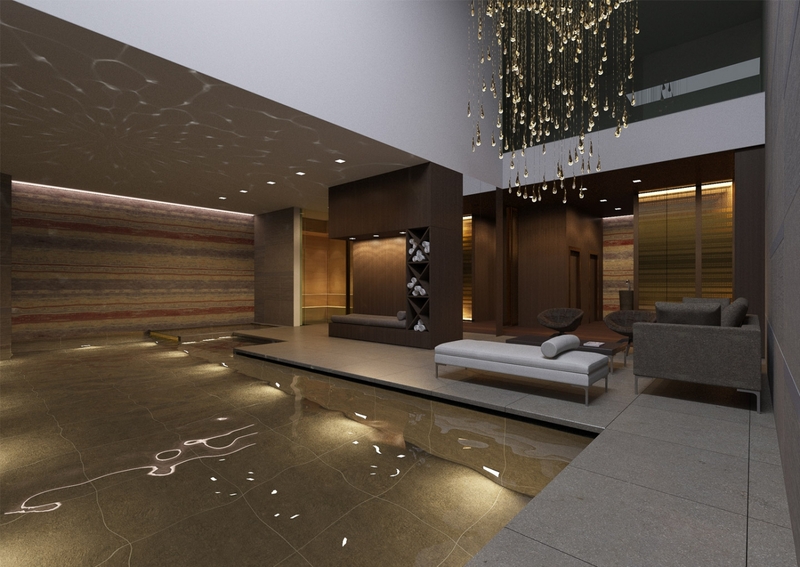 The ground and first floor spaces are using neutral palette of black, grey and white. 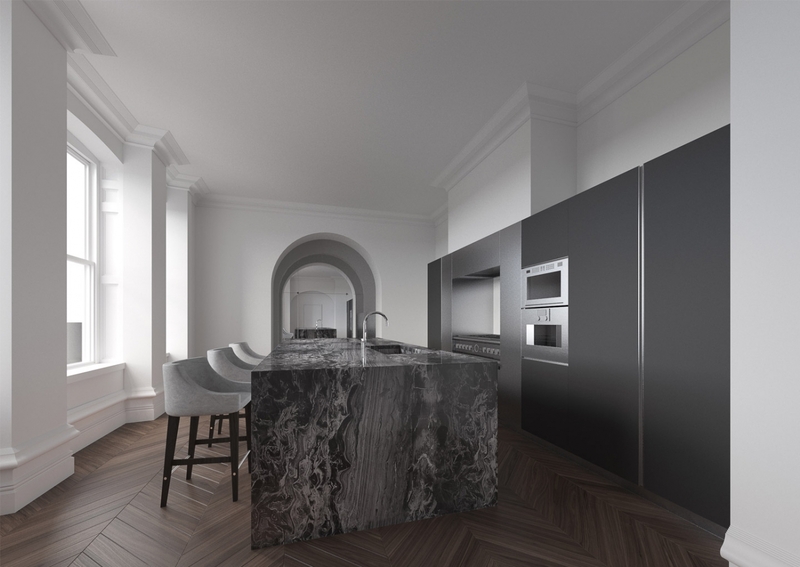 The natural material palette includes dark herringbone timber flooring, various excuisite stone marbles, polished cotton carpets, leather and timber wardrobes. 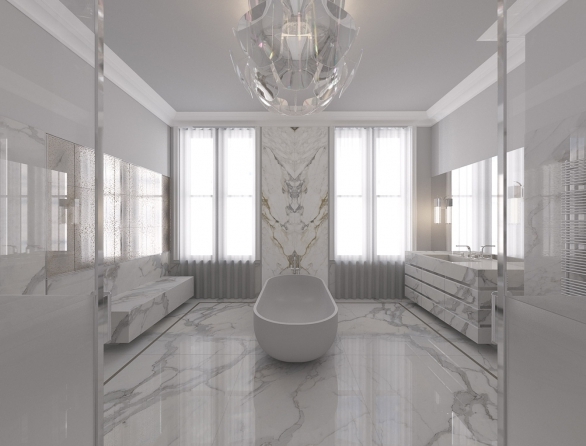 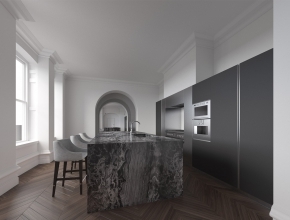 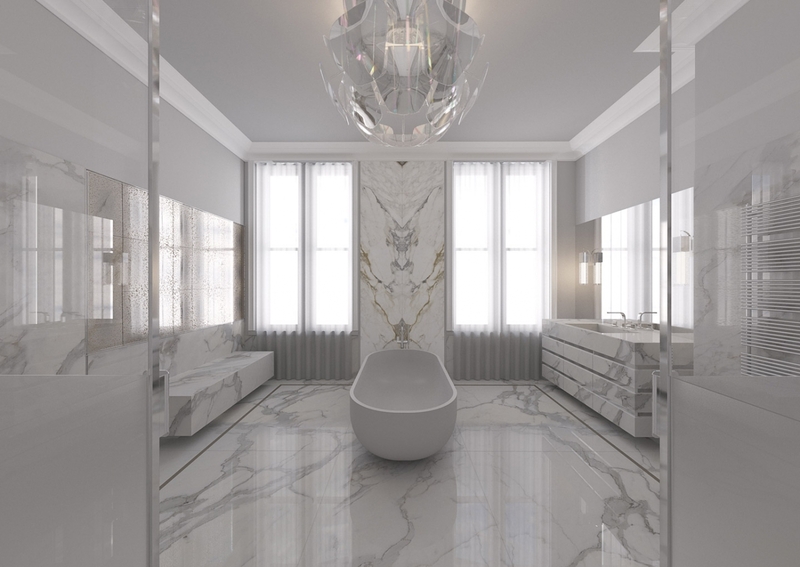 All interior elements are bespoke, including bathrooms, wardrobes, panelling and a large monolithic kitchen island constructed in Arman marble.